Crocodile Creek has created the perfect Eco Kids Tritan Drinking Bottle. Their Tritan Bottles hold 16 oz. 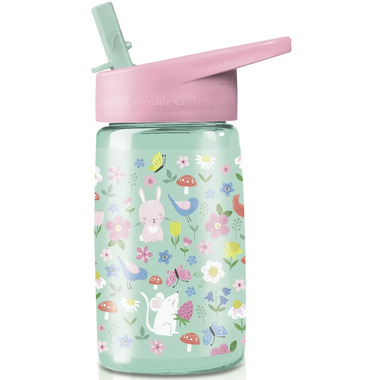 of liquid and is PVC free, BPA free, Phthalate free, lead free and non-toxic. The spill-resistant open and close sipper makes it easy for kids to drink. Removable straw makes cleaning easy and efficient. Resists odours and stains. Grab and go handle can clip to backpack and they and fit in all Crocodile Creek lunch boxes and backpacks. Top rack dishwasher safe.